From London to Corsica to Paris–as a young woman pursues the truth about her late mother, two captivating love stories unfurl. Kate Darling’s enigmatic mother–a once-famous ballerina–has passed away, leaving Kate bereft. When her grandmother falls ill and bequeaths to Kate a small portrait of a woman who bears a striking resemblance to Kate’s mother, Kate uncovers a mystery that may upend everything she thought she knew. Kate’s journey to find the true identity of the woman in the portrait takes her to some of the world’s most iconic and indulgent locales, revealing a love story that began in the wild 1920s and was disrupted by war and could now spark new love for Kate. 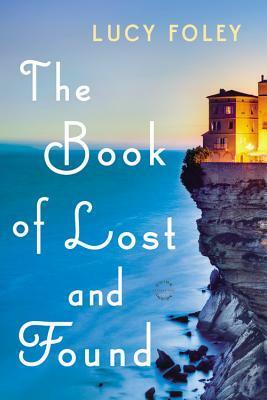 Alternating between Kate’s present-day hunt and voices from the past, THE BOOK OF LOST AND FOUND casts light on family secrets and love-both lost and found. Kate Darling has always known that her mother, June, was raised in an orphanage. As Kate is grieving her mother’s unexpected death she is also losing her surrogate grandmother, Evie, to dementia. When Evie in a moment of lucidity gives Kate a portrait of a woman calling herself Celia; who claimed to be June’s birth mother Kate feels even more lost. Why did Evie never let her mother know about the mysterious Celia? How much can she tell Kate about June’s birth? Tracking the woman in the painting and the artist takes Kate from London to Corsica, Paris and New York and takes the reader back and forth in time from the 1980s to the Europe in the time of the World Wars. We alternate from Kate to a young man named Tom, who is falling in love with his friend Alice in the peace time between WWI and WWII. While I enjoyed the way the story went back and forth in time from Kate’s perspective to Tom’s, when it switched into first person late in the book it threw me off. I actually flipped back to make sure I hadn’t forgotten that this had been happening before. Aside from that interrupting my reading I really liked the flow back and forth from Kate and Tom. I thought the pacing was perfect for the mysteries of Tom to Alice to Celia to unfold. I enjoyed discovering the truth with Kate and I loved the setting in Corsica. I felt like I was there in the sun and experiencing the island myself. It was a bonus to have a new romance developing as I read about a history full of heartbreak. I had some guesses about how things would turn out – and I was pleased not to have seen all the twists coming. The path from Kate to Celia was far richer than I expected. This book will leave you thinking about what kind of decisions you might make for your loved ones and what kind of secrets we keep. I think it would be a great book club book to hear others’ thoughts on the choices that Kate, Evie and Celia made and what kind of choices we might make in those shoes. Thank you Back Bay Books for this advance copy in exchange for an honest opinion! Seriously, don’t you want to read this book just looking at the cover? It’s fabulous! When a wildly driven car crashes into her family’s buggy Constance Kopp starts her sisters down a path that alters their lives completely. The Kopp sisters have lived independently on their farm since their mother’s death. They’re stretched fairly thin, but wouldn’t have it any other way. Everyone they meet is sure they must need a male protector to rescue them – but they most definitely do not. Marriage is not an option for the older sisters; and though their older brother continually offers them a place in his home they turn him down each time. Constance realizes that the loss of the buggy is more than she and her sisters can afford and sends a letter to the driver of the car, Henry Kaufman, requesting that he pay $50 for repairs. 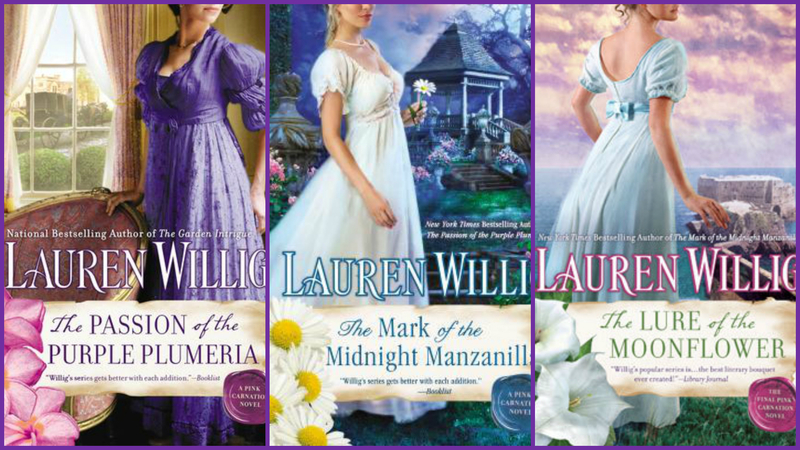 When her letters are ignored Constance travels to his silk dyeing factory and learns Kaufman is a powerful bully with a gang of drunken followers and that she has put herself and her sisters directly into his sights. As I read I had to keep reminding myself that this was really Constance Kopp’s life – and what a life! Union busting, the Black Hand, kidnapping threats and bricks thrown through windows. I kept thinking – I’d back out of this NOW and she kept bravely forging on ahead. There was no gripping mystery to be solved, but I was still caught up in the book to see if Constance could out maneuver Kaufman. Could she get her $50 and keep her sisters safe? Would the Kopp sisters leave the farm that they were so determined to keep for themselves? I won’t spoil these questions for you, but you should read to find out! I appreciated the thorough afterword that laid out what was fact vs. fiction and I think Stewart added well where she did. The use of the newspaper headlines was really great – especially when they were about Constance herself! Constance Kopp was a woman ahead of her time and I really enjoyed her story. The pacing was a bit slow for me at times, but this didn’t happen over a short period of time and perhaps that’s reflected in the way Stewart did pace it out. 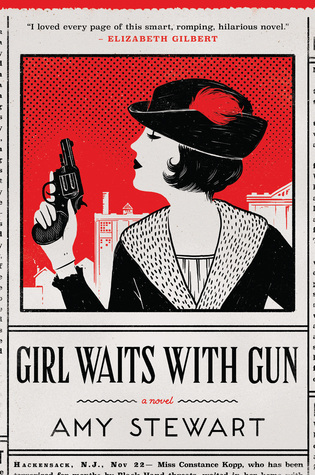 I am very curious about how Constance’s life continued after she became the first female deputy sheriff and I wonder if there’s another book in the works? Thank you to TJ at My Book Strings for bringing this book to my attention earlier this year! Thank you Houghton Mifflin Harcourt and NetGalley for this advance copy in exchange for an honest review. 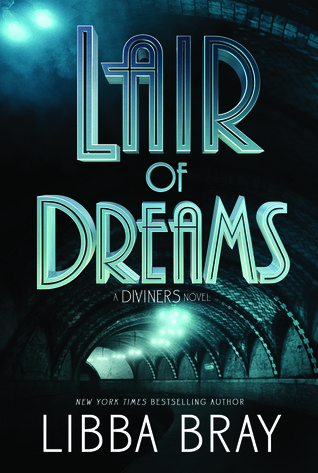 As I said in my recent review, I was pos-i-tute-ly entranced by my first Libba Bray book, The Diviners, and I was eager to dive into Lair of Dreams to find out where the story continued. Consider yourself warned, spoilers ahead for The Diviners! Again Bray made me feel like I was really in New York City in the 1920’s. In this case bouncing between Chinatown, Broadway and into the subways themselves. Bray also totally caught me up emotionally – forbidden love affairs, mysterious government agencies, an unexplainable sickness, children led astray and the all over ick feeling that comes from reading about the eugenics movement and the Klan. The sense of magic woven in with the setting was just so well done again. At the end of Book #1 Evie went public with her ability to read a person’s past with a personal object. The city is mad for Diviners now and Evie is eating up the attention. She is living large – and alone. She doesn’t see her Uncle WIll or Jericho really and she’s so busy being famous she doesn’t see a lot of Theta or Mabel – though there is plenty of time with Sam which I did like! I did miss that sense of camaraderie that I felt with the characters in the Diviners. Yes, we had new groups forming to work together, but they seemed to have more of their own agendas going in this book. 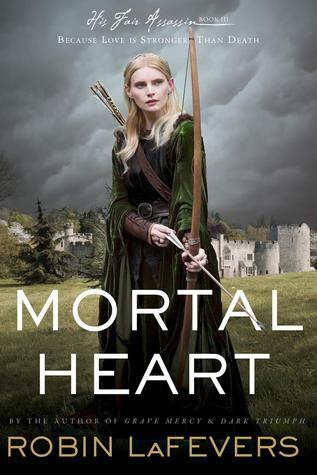 I hope the next book brings Evie back into the fold though I am nervous about love triangles for her! Evie has such potential to grow up and be amazing – I hope she snaps out of the speakeasy scene so we can see her do that. As much as I like Evie, what I also enjoyed about this book was getting into the other diviners and what they can do. The diversity of the characters is fantastic! The dream walking was crazy cool- and nerve wracking. I was basically nervous the whole book every time someone went to sleep about whether they’d wake up. I was nearly afraid to go to bed in the beginning. I love Memphis and I am very curious to see where he goes with his decisions to use his skills to heal or not. I love him with Theta and I’m also anxious over that relationship! In all honesty, I didn’t like this all over as much as The Diviners – I felt I could predict a bit more what was going to happen and the mystery was creepy but just not my favorite. However Lair of Dreams was still a great follow-up that leaves me eager to read still more of Bray’s world. I can’t wait to learn more about the government involvement and about the divining talents that are still being kept secret. What is this all building up to?! Thank you Little Brown Books for Young Readers and NetGalley for this advance copy in exchange for an honest review!